PDF Print Engine 4 offers greater performance, reliability, and accuracy. Adobe has launched the fourth version of PDF Print Engine (APPE 4). The high speed, high fidelity print platform is used by leading print equipment manufacturers worldwide and offers fast, reliable PDF rendering technology. 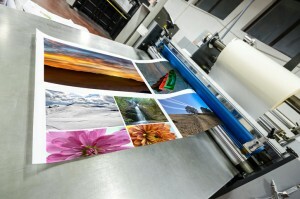 From wide format printing to traditional platesetters, hundreds of printing products are powered by Adobe Print Engine. In PDF Print Engine 4 Adobe promises to deliver breakthrough performance efficiencies and new color features. The update will enable printers to employ new printing innovations and increase workflow productivity. Faster performance. Up to 10 times faster for graphics that consist of a repeating pattern over an extended area. Fluid shading effects. Adobe’s color scientists have developed new algorithms for smoothing out long gradient blends and abrupt hue shifts. Unwanted artifacts have been eliminated while continuous shading is more smooth than ever before. Expanded spot color handling. Now up to 127 color channels can be specified. Tile Parallel Processing (TPP). TPP significantly reduces rendering time. Large assets are broken up into smaller sections and delegated to multiple instances of APPE, allowing the system to take better advantage of your hardware’s capabilities. Accuracy. Render transparent images, shadows and effects more accurately with Adobe PDF core technology. Enhance visual text perception and outlines. Reliability. APPE 4 offers designers extra assurance that their creations will be faithfully reproduced with no unwanted surprises. Optimization. APPE 4 shares the same core technology and is optimized for the latest versions of Adobe InDesign, Photoshop, Illustrator and Acrobat. PDF Print Engine 4 has been distributed to Adobe’s print partners and will be available throughout 2016 as it becomes integrated into the next generation of printing solutions. PDF Print Engine has been the printing industry’s dominant imaging platform for the past decade, and shows no sign of slowing down with APPE 4. The new technology should increase job throughput and reinforce printer competitiveness. This entry was posted on Wednesday, July 6th, 2016	at 3:54 pm	and is filed under Printing news	. You can follow any responses to this entry through the RSS 2.0	feed. Both comments and pings are currently closed.